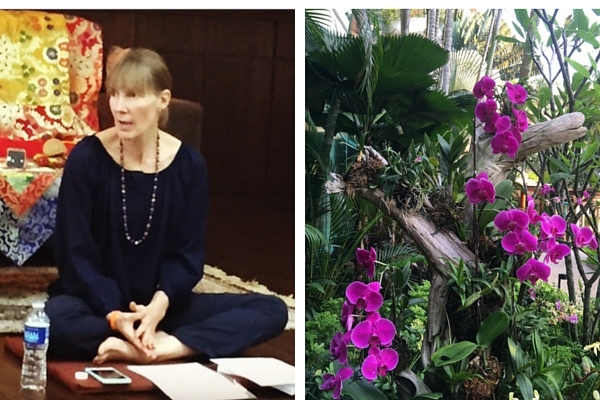 This week I am sharing some highlights from my Singapore mindfulness talk. 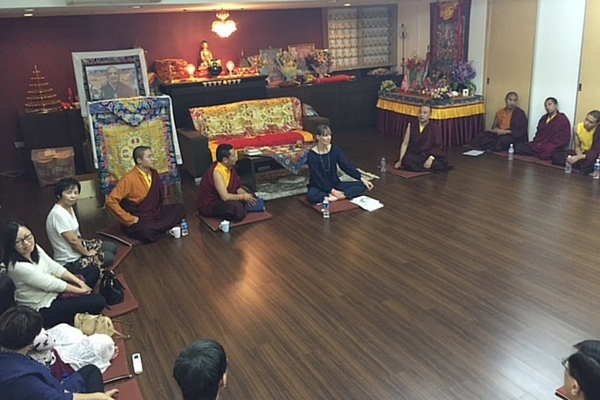 The talk was hosted, on 17 July, by Mahsuka Singapore Buddhist Centre and was well attended by friends of the centre and monks from Serang Monastery, Nepal. The talk, which was translated into Tibetan by Nuptul Rinpoche, explored how Western Science and Eastern wisdom can work together. Mindfulness is central to making choices that best suit your current requirements. How did my interested in an integrated approach come about? “I have been a health care practitioner specialising in nutrition, health and wellbeing for over 20 years. I have been fortunate to work with many accomplished health care practitioners, from general medical practitioners, medical specialists as well as Traditional Chinese Medicine (TCM) and Ayurveda doctors. From my experience working in health retreats and integrative medicine centres, and managing my own personal health, I know it is possible to integrate different types of medicine and health care. Mindfulness is the focussing of your attention on the current moment, and being aware of the purpose (of your thoughts or actions) and being compassionate about what you observe. What are the similarities between Western and Eastern nutrition? “A healthy gut is present when the microbiota experience symbiosis (balance). The dietary factor related to symbiosis is DIETARY FIBRE. Gut bacteria ferment dietary fibre producing short chain fatty acids; acetate, butyrate and propionate. Our starting point for food selection is the same; with plant foods being the foundation of our meals and snacks. We then personalise these choices based on our individual requirements. 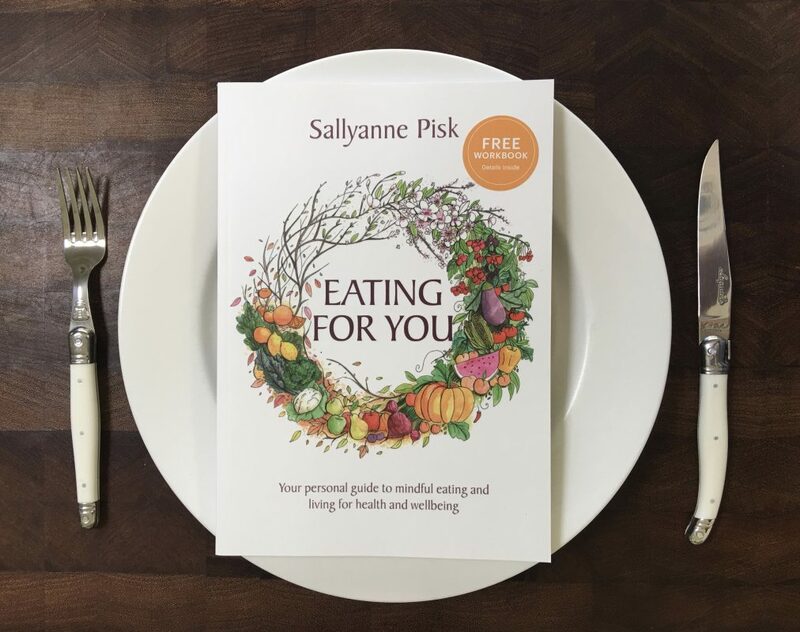 In Eating for You I provide steps to personalise your way of eating. “Consideration of the natural cycles, including our seasons and circadian rhythm (sleep) is a part of eating and living mindfully. Scientific research is emerging concerning the best times of day to eat. There are a few scientific studies on body weight and diabetes showing the benefit of eating earlier in the day. Eastern medicine encourages us to eat the bulk of our food by 3pm. One of the main challenges we face is to uncover whether we are actually eating because we are hungry. During the Singapore mindfulness talk, tuning into our appetite was discussed. If you are interested in reconnecting with your appetite you might like to read an earlier post to increase you ability to tune into your personal appetite cues. Healthy eating is much more than food – knowing your health and lifestyle requirements and cultivating mindfulness. An integrative approach to health requires you to work with your health care practitioners and keep them up to date with your treatments, supplements and how you are feeling. I am thankful to Mahsuka Singapore for hosting the Mindful Eating and Living Talk, and to Nuptul Rinpoche for his oral translation into Tibetan. The proceeds from Eating for You books sold at the Singapore mindfulness talk were directly donated to the Orgyen Ling project. 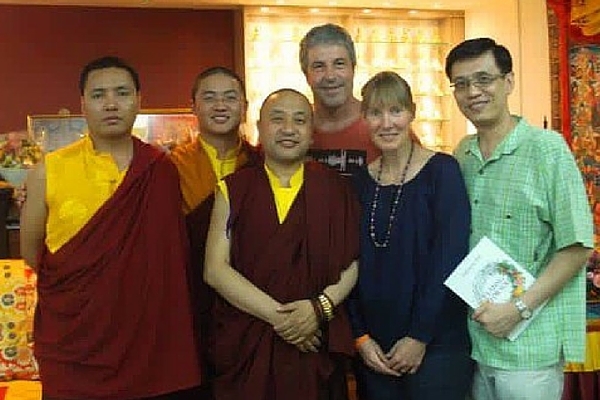 This project is being coordinated by Nuptul Rinpoche and includes the building of non-sectorial school for children, a retreat centre, Buddhist university and monastery. If you would like to make a donation to the school project, please visit my fundraising campaign at Orgyen Ling Children’s School Nepal.